Show your expertise on the art of sushi with with these tasty Sushi Cufflinks, featuring white and red Nigiri sushi. 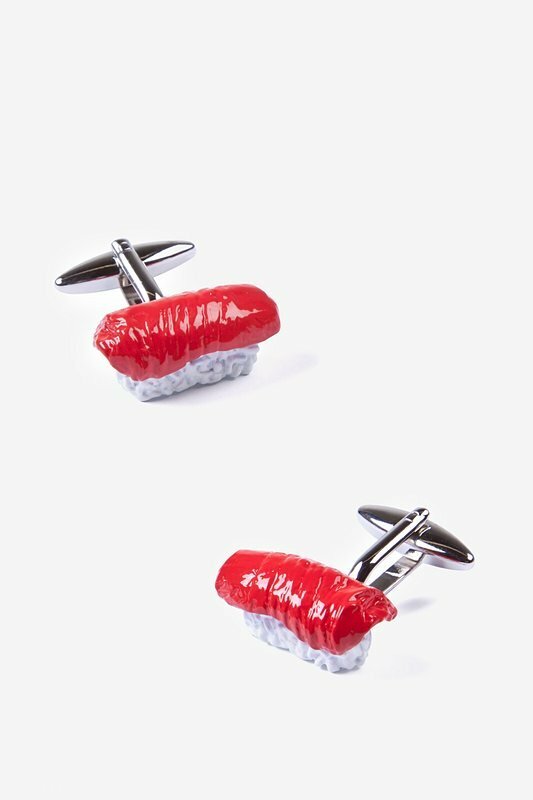 These Alynn Neckwear Cufflinks are everyone's fa... read more Show your expertise on the art of sushi with with these tasty Sushi Cufflinks, featuring white and red Nigiri sushi. These Alynn Neckwear Cufflinks are everyone's favorite on the sushi menu and may cause excessive invitations to lunch!